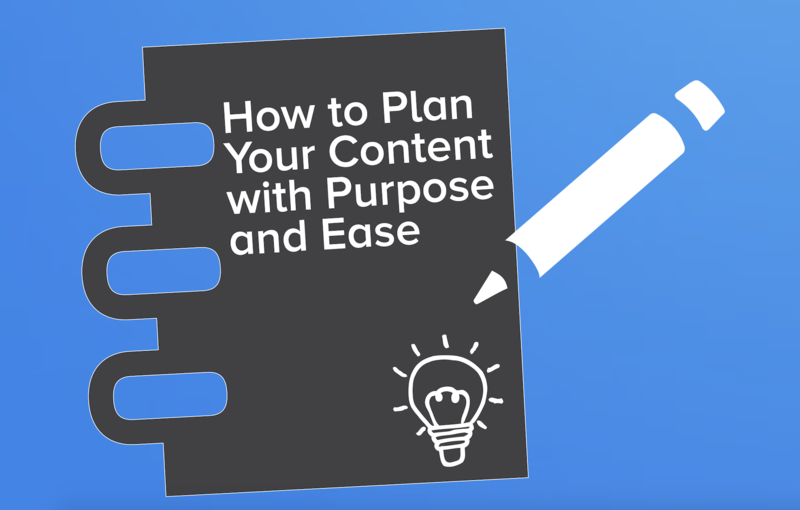 How to Plan Your Content With Ease and Purpose! Pick any day of the week and there’s one thing on every inbound marketer’s to-do list: creating new content. Even if you’re not the one creating, it definitely crosses your mind. Marketers used to create content only when it suited their company’s internal needs – say, when they had a new product to promote. But inbound marketing forces you to give up that approach. Marketers now need to produce a constant flow of new content, from blog posts and social media updates to videos, ebooks, or webinars. This content serves them in many ways: It improves their search engine rankings, drives traffic to their websites, and helps to nurture existing leads. But constantly coming up with new ideas can be overwhelming. When inspiration dries up, you risk falling into two equally dangerous traps: If you stop creating new blog posts, videos, ebooks or other content pieces, you turn off a major source of new traffic and leads. And, if you panic and start pushing out content that’s a bad fit for your audience, you risk attracting the wrong kind of visitor while driving away good prospects. So how do you keep up? This ebook will help answer how by helping you build a content strategy for your business or organization.